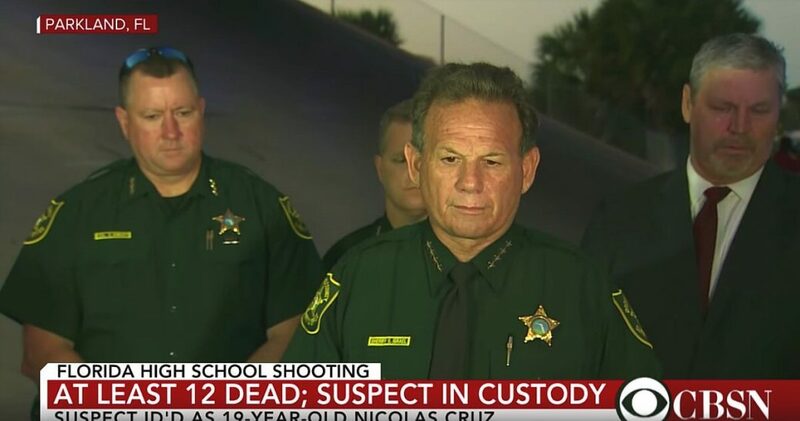 Broward County Sheriff, Scott Israel, Broward County School Officials, et al, have a policy of not reporting crimes at schools. Their motives are to look good to the surrounding community and to qualify for state and federal funding grants. Somethings about Sheriff Israel can be found in these two articles, “When Broward County Sheriff Scott Israel Was Accused of Corruption, He Responded: ‘Lions Don’t Care About the Opinions of Sheep.’” (6) The article says, “That’s a paraphrase of a quote from the Game of Thrones character Tywin Lannister, a villainous public administrator known for promoting his family’s interests ahead of the government’s or the people’s.” And, “Broward County Sheriff Accused of Having Affair With 17-Year-Old Girl, Forcing Her to Get Abortion.” (7) Some role model. Israel needs to be fired NOW! Every day they put students at risk with this irresponsible policy. On February 14, this policy resulted in the murder of 17 students, the injury of 14, and the unnecessary trauma to thousands more. Former Sheriff’s Deputy, Scot Peterson, was on duty at the Marjory Stoneman Douglas High School property at the time this national tragedy occurred. He was suspended without pay by Sheriff Israel and has since retired since there would be nearly unbearable emotional public pressure for him to be fired. He was found to have stayed outside the school the whole time the shooting was going on inside. Peterson is being played as a low level scapegoat because he acted according to the long standing school administration and sheriff’s department policy of “Look the other way” and “Whatever happens at school stays at school” when an at school student crime is committed. As scapegoats go, they are used as a diversion for superiors who don’t want to be convicted for the crimes they themselves are guilty of. This is clearly a conspiracy of silence. As it turns out three more Broward County Sheriff’s deputies, once they arrived on the scene, didn’t enter the school. They were only following Sheriff Israel’s non-engagement orders. We can not expect Sheriff Israel to conduct an unbiased investigation because of his active participation in this criminal conspiracy. Florida Governor Rick Scott needs to call for a state level investigation. The Justice Department and the FBI must also be brought in and find as much dirt as is in their power to uncover using the full resources of the Federal government. A good place to start these investigations are the Conservative Treehouse article titled, “Broward County Sheriff’s Office Did Not “Miss Warning Signs” or Make “Mistakes”…, and a series of 39 Tweets from their associate Twitter account “The Last Refuge.” They previously did investigative work on the corruption in the Broward County Sheriff’s Department and the Broward County school administration. The America Thinker gets an honorable mention for their article, “Did the Progressive ‘Broward County Solution’ Cost 17 Student Lives?”. Students at Marjory Stoneman Douglas High School are incorrectly outraged at the Florida Governor Rick Scott, the Florida and Congressional legislators who support Second Amendment Right to Carry and posses guns, and President Trump. Student outrage also focuses on the strongest national gun lobby organization, the National Rifle Association (NRA), their members, and anyone who supports the Second Amendment. Students understandably but incorrectly, give a gut reaction to the murder of their friends and, with the liberal, anti-gun mainstream media’s encouragement, call Second Amendment supporters, “murders.” These students need to be informed of the complete story as provided in these links to start, so they can properly focus their energies on those who are in reality culpable, namely, the Sheriff’s office, Broward County Schools administrators, and of course, the teachers, and the teacher’s unions, all who are part of the conspiracy of silence. Lawsuits should be brought by interested parties. The NRA should also sue them for loss of income as leftists pressure companies to stop funding them. The Source of the Mass KillingsWho IS Obama?